It’s that time of year, where the flu seems to be going around everywhere. 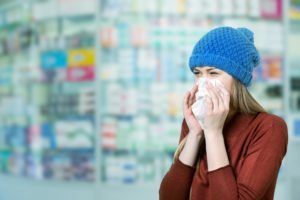 As much as you can try to prevent it by keeping hands clean, using anti-bacterial products and getting a flu-shot, there’s still a chance to get sick. As well as making you feel achy, feverish and congested, the flu can wreak havoc on your skin. Illness can make your skin dry, irritated, with puffy eyes and a higher risk of cold sores and other skin issues. So how can we look after our skin when we’re sick? We’ve put together our top tips to protect your skin as best as possible while you’re under the weather. Keeping your hands clean during flu season is essential in staving off the virus, but over washing can also lead to dry skin on your hands. Use a moisturising cleanser to keep your hands clean, and use a hand cream after each wash to avoid dryness. Drinking plenty of water is essential when you’re feeling ill, as it helps your body stay hydrated. This also gives a bonus to your skin, as it hydrates from within, and prevents cracked skin around the nose and mouth. While you might want to crank the heat up in the shower, subjecting your skin to long hot showers strips it of essential oils. This can lead to dry, irritated skin. We recommend lukewarm temperature for 10 minutes or less while you recover. Constantly having to blow your nose can make your nose red, dry and irritated. Try to avoid scented tissues, as these can irritate the skin even more. Better yet, use tissues enhanced with hydrating ingredients, such as aloe vera. While you’re sick, your skin is more susceptible to dryness. To avoid making this worse, take a break from harsh exfoliants and irritating skincare ingredients such as acids, retinol or scrubs, and instead switch to a gentle routine with hydrating ingredients. While you might not have heard it’s scientific name, you may still suffer from keratosis pilaris – aka “Chicken Skin”. You may have learned to live with this skin condition, but ZO Skin Health offer an easy way to manage Keratosis Pilaris. Keratosis Pilaris, or “Chicken Skin” is very common, and can affect up to one in three people. While it is harmless, it can be unsightly. It’s name gives an idea of what is it. ‘Keratosis’ meaning that there is too much keratin in the skin – this makes up the tough outer layer, while ‘pilaris’ means hair. Keratosis Pilaris is a condition where the hair follicles get blocked, creating red, rough bumps that look a little like goose bumps. Keratosis Pilaris can be inherited, and is more common in those with dry skin conditions, eczema and asthma. It usually occurs during childhood, and lasts through adolescence and adulthood. It can be exacerbated by hot showers, abrasive scrubs and cold dry winter air. For this reason, the condition is better in summer than in winter. Keratosis Pilaris can’t be completely cured, but it’s symptoms can be managed. Depending on the severity, there are several courses of treatment. 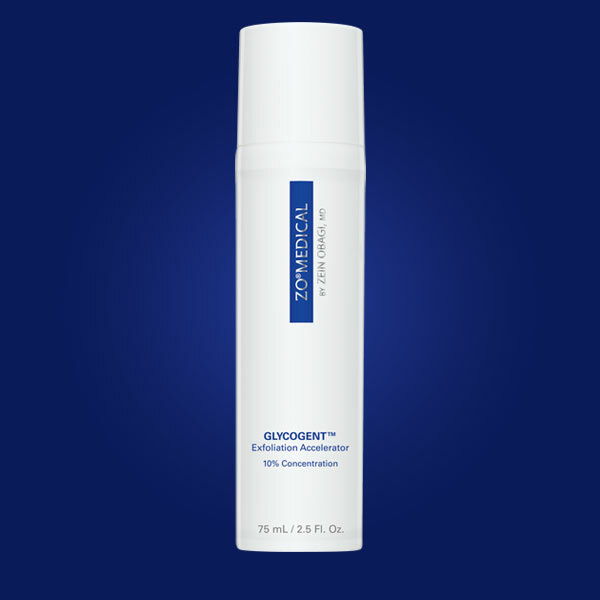 ZO Skin Health’s Body Emulsion contains an ultra-high concentration of lactic acid to help this condition. It should be applied to the affected areas. It’s both an emollient and humectant, so it softens and soothes the skin, while also exfoliating. Apply it after showering, while the skin is still damp, and then 2-3 more times throughout the day. For many people, this treatment alone will suffice. In combination with this product, you may want to consider having a microdermabrasion. 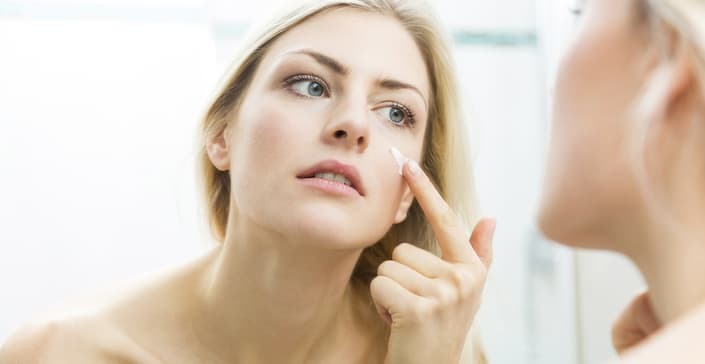 If you don’t see improvement after several weeks, see a dermatologist, who may recommend a light peel of retinoic acid and TCA, or low dose prescription retinoids. First, though, try to treat it without prescription drugs—ZO Skin Health Body Emulsion should be your first option. For the essential product in your anti-ageing skincare routine, look no further than Ossential Growth Factor Serum Plus. This anti-ageing all rounder delivers daily DNA repair, as well as antioxidant protection. This both corrects current signs of ageing and protects the skin from any future skin damage too. What makes it anti-ageing skincare? It also contains two growth factors to support collagen production, which increases skin density and helps cure signs of ageing like fine lines and wrinkles. Also included is anti-ageing hero retinol and amino acids, which stimulate cellular function, reduce the degradation of collagen and restores elasticity for all round skin rejuvenation. This super serum is suitable for all skin types, including sensitive skin, and is also a part of the Stage Two Anti-Ageing Skincare Regime. How Exactly Does the Growth Factor Serum Benefit the Skin? Boosts elastin and collagen production to reduce the appearance of fine lines and wrinkles and to tighten and firm the skin. Growth Factor serum promotes cell turnover to help smooth the skin and provide a more even skin tone against skin pigmentation. Helps protect against DNA damage and encourages healthy DNA repair. Growth factor plus includes antioxidants to provide protection against free radical damage. 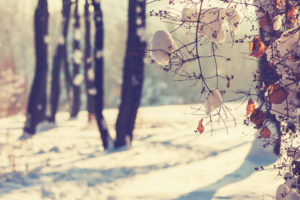 Summer has been and gone, and we’re seeing winter arrive. If the cold weather and dark evenings weren’t enough, a dull complexion often comes along with the season. 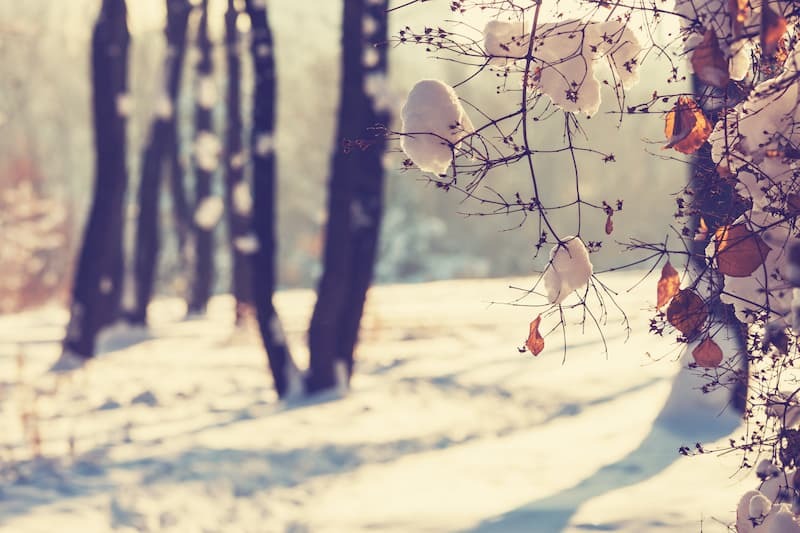 We’ve put together our top tips to mix up your skincare regime to combat winter dullness. Skin gets that glowy, lit from within look when it’s smooth enough to reflect light. Unfortunatly as we age, cell turnover slows, and dead skin cells can pile up, diffusing light and creating dullness. This is exacerbated in winter, when skin gets naturally drier from the elements. If you exfoliate every morning and night, you’ll slough away the dead skin cells, leading to a refreshed and revived complexion. As glowing skin occurs when your skin reflects light well, a firm base is essential to combat that winter dullness. 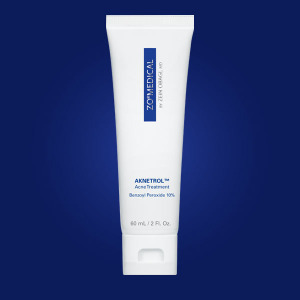 Use a cream with retinol to help stimulate collagen production which will help your skin regain firmness. If you’ve never used retinol before, you should be aware of initial side effects, such as skin dryness and peeling. This will subside as your skin gets used to the product, and then you’ll start to see the amazing benefits. Vitamin C is a potent antioxidant that can brighten the skin and fade sun spots, which can make your skin look flat and dull. The ZO Skin Health Ossential® C-Bright Serum provides a potent dose of pure vitamin C that is stabilised to brighten and re-texturise the skin. This serum maximises the exfoliation and brightening effects, revealing radiant, even-toned skin. Plus, this vitamin C serum also helps to minimise the appearance of fine lines and wrinkles. A common query when starting a new skincare regime, or trying a new product is – “How long will it take to work?”. It can be confusing to get your head around each ingredient in your skincare, and understand how long it’ll be before you see results. We’ve rounded up the common skincare ingredients, and how long it will take for them to work wonders on your skin. AHAs are perfect for exfoliating dry and sensitive skin. They can help with age spots, skin discoloration and the reduction of fine lines and wrinkles! The most commonly used AHAs you will see in your skincare items are glycolic acid, mandelic acid and lactic acid. When you’ll see results: You’ll be able to see a brighter complexion straight away, although it will take 4-6 months of consistent use for AHA’s to stimulate the production of collagen and minimize the appearance of lines and wrinkles. Some of our favourite AHA containing ZO® products include Glyocgent, Offects® TE-Pads and Invisapeel. Ceramides are a family of waxy lipid molecules composed of sphingosine and a fatty acid. 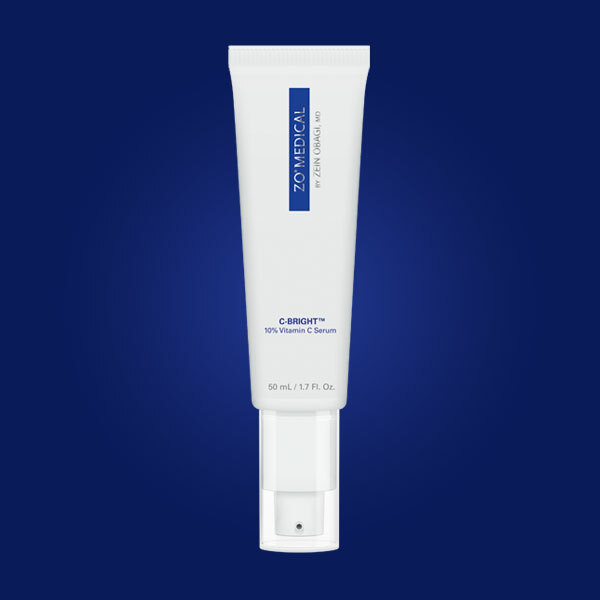 Ceramides are found in high concentrations within the cell membrane and comprise the bulk of the lipid layer, which holds the skin’s cells together in a firm, smooth structure. They maintain the moisture-retention ability of the skin. A decrease in the level of ceramides results in the skin becoming dry and hard, leading to fine lines and wrinkles and an impaired barrier function. When you’ll see results: Ceramides work on the surface of the skin on the lipid layer, so you’ll see results almost immediately. Hyaluronic Acid boosts skin’s moisture content and helps prevent moisture loss. Found in high concentrations in the skin, hyaluronic acid provides continuous moisture to the skin by binding up to 1,000 times its weight in water. It gives a smoother, dewier complexion. When you’ll see results: Hyaluronic Acid gets to work straight away, and can give the appearance of plumper skin in minutes. Some of our favourite hyaluronic acid products include Liprebuild and Hydrafirm. Caffeine works to reduce puffiness around the eyes, and also reducing the look of dark circles. Salicylic acid is a great ingredient for treating acne and oily skin. It works by exfoliating and cleansing pores, as well as calming inflammation. When you’ll see results: To get full results, use a product with salicylic acid for about 12 weeks. Offects® Exfoliating Cleanser, Oraser® Microderm Hand Renewal and Offects® Te-Pads Acne Pore Treatment all contain salicylic acid. Vitamin C works as a antioxidant, stopping the production of pigment to fade dark spots and even complexions. When you’ll see results: You’ll start to notice a difference after about three weeks of introducing Vitamin C into your skincare regime. Retinol works to minimize the appearance of fine lines and wrinkles, as well as smoothing skin and improving tone. When you’ll see results: Retinol can take a while to start working on your skin, as it affects epidermal renewal and collagen synthesis. Wait around 8-12 weeks for the first signs of improvement. 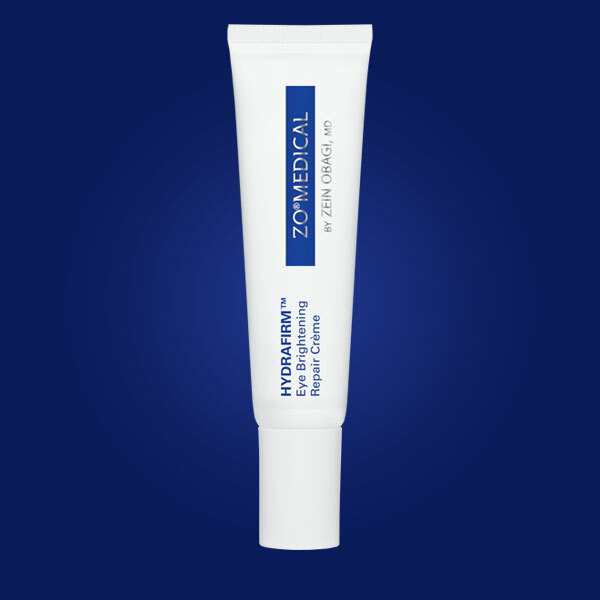 You can find out more about retinol here. Benzoyl Peroxide is a high-strength acne treatment that kills bacteria that causes spots and blemishes, leading to a clear complexion. When you’ll see results: It will take about three weeks for your skin to start to clear after starting to use benzoyl peroxide, with the full benefits after 12 weeks. You can find this ingredient in our ZO Medical Aknetrol. 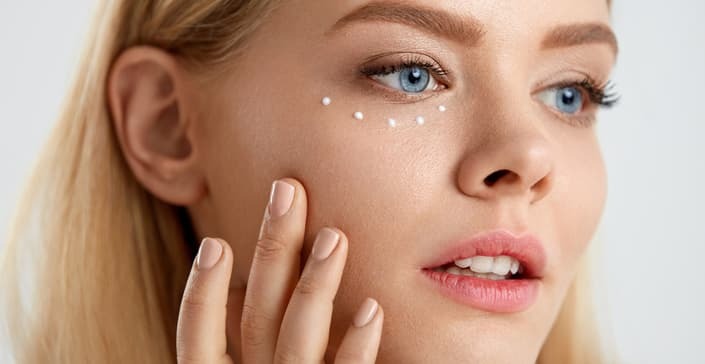 The one ingredient that we’re hearing about time after time, it’s Retinol. We’re always reading about it’s benefits, from reducing the appearance of fine lines, or refining skin texture. It’s even been proved to reduce the appearance of pores. But what exactly is it, and why should you use it? Retinol is the antioxidant derivative of Vitamin A. Vitamin A is a powerful ingredient that speeds up cell turnover, and protects the skin from free radical damage. This can prevent lines, wrinkles and spots from forming in the first place. It works by absorbing into the skin, and breaking down into retinoic acid. This is a compound that affects the chemistry of skin cells and their behaviours. This can help increase collagen production, and improve skin elasticity. It can also increase skin thickness, improve skin texture, and create a more even skin tone, making it an idea ingredient for those with skin discolouration, or damage from the sun. If you’ve never used Retinol before, you should be aware of initial side effects, such as skin dryness and peeling. This will subside as your skin gets used to the product, and then you’ll start to see the amazing benefits. 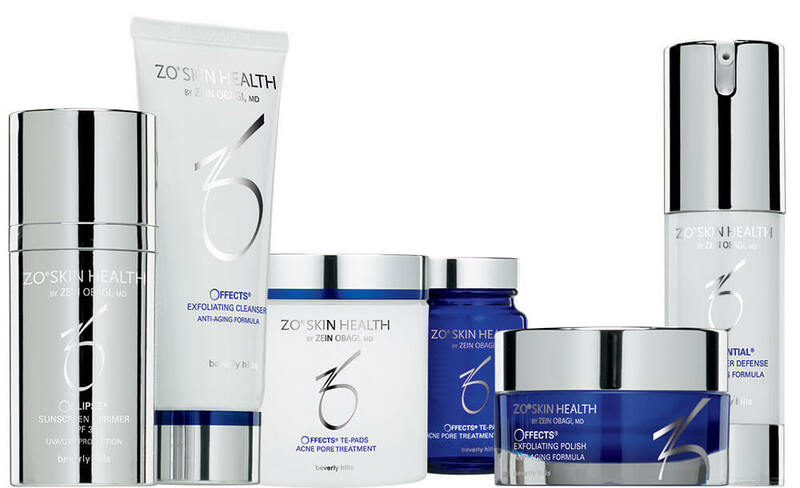 Here are our top products from ZO Skin Health and ZO Medical. Anti-Pollution skincare is the buzzword of the moment in the beauty industry. But how does pollution affect our skin, and what do we need to look for to protect our skin from pollution? We love the hustle and the bustle of the city, but it seems we’re only just realising the adverse effect it can have on our skin. Pollution levels are at an all-time high, for example London’s Oxford Street has the worst pollution levels in the world – with 10x the legal limit of nitrogen dioxide. All those chemical, dirt and dust particles can not only make your skin feel unclean and irritated, it can also affect how the skin ages. 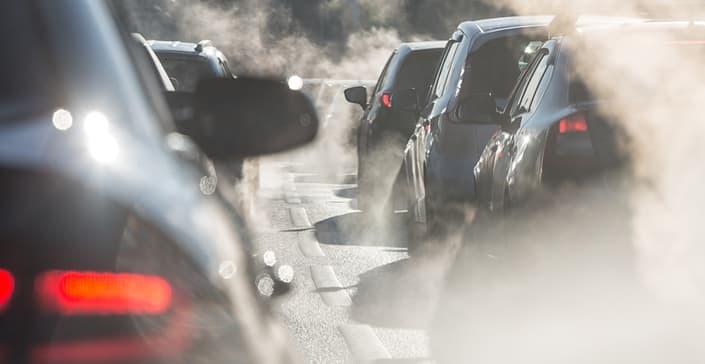 The Journal of Investigative Dermatology found that high levels of nitrogen dioxide are linked to increases in age spots and hyper pigmentation. Pollution can also break down the skin’s natural barrier, leaving it exposed to free radical damage, which can damage the DNA of your skin, leading to damaged elastin fibres, impaired collagen synthesis and melanin production. The resulting sagging skin, wrinkles and age spots can make your skin look up to 10x older than those who live in less polluted areas! Cleansing your skin every night is essential to remove dirt and toxins from the skin’s surface. All ZO Skin Health and ZO Medical cleansers are the first step in your anti-pollution skincare regime, and remove dirt and oil without leaving a residue. Exfoliating also works to give your skin a deeper clean, and help your serums and other skincare products penetrate the skin. Offects Exfoliating Polish is ideal for all skin types, and contains vitamin C, A and E for antioxidant protection and to help achieve glowing skin. An antioxidant serum is crucial to protect skin against pollution damage. Antioxidants interact with free radicals, and stops them from damaging the skin. Vitamin C is a great anti-oxidant and is also essential to produce collagen. ZO Medical C-Bright 10% Vitamin C Serum provides a high dose of stabilized pure vitamin C, perfect to reduce the effects of pollution on the skin. The addition of coenzyme Q10, another powerful antioxidant, helps to defend against other environmental triggers that cause inflammation. The last step in your anti-pollution skincare regime should always be an SPF – many people forget that their skin needs UV protection all year round, and an SPF adds an additional layer of protection to your skin. 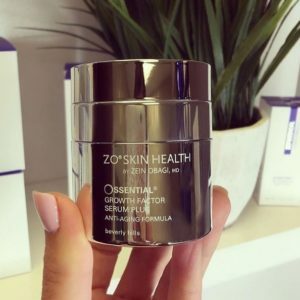 Zo Skin Health Oclipse® Sunscreen + Primer SPF 30 gives daily multi-defence protection from UVA rays, UVB rays and HEV light, as well as continuous antioxidant protection against free radical damage and the harmful effects of IR-A rays. Dark under eye circles are a common problem for most skin types. Sometimes it seems that no matter how much sleep we get, we still look tired and aged because of dark circles! Why do we get dark under eye circles? The skin around your eyes is the thinnest on the body. 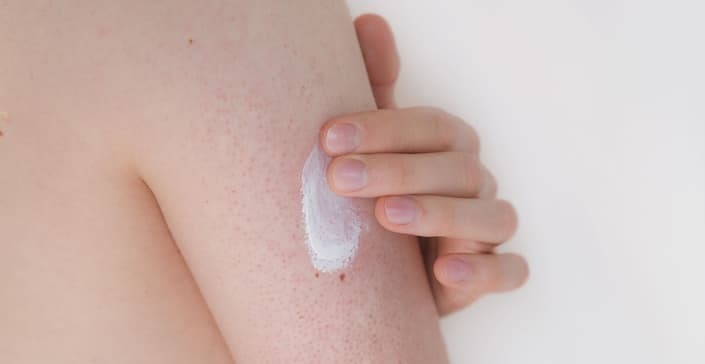 This thin skin is more susceptible to environmental abuse and sun exposure, and is one of the first places signs of ageing such as crows’ feet, puffiness and dark circles occur. This skin is also prone to dryness, which can make these signs of aging more visible. Dark circles under the eyes are the result of this, as well factors like genetics, whether your skin is fair, and if you have naturally thin skin. ZO Medical Hydrafirm Eye Brightening Repair Crème has been specially formulated to help treat signs of ageing around the eyes, such as dark under eye circles. It contains the skin brightening Vitamin C, which is used to treat the pigmentations on the area. It also works to increase collagen production, to combat thin skin around the eyes. This can reduce the appearance of dark circles due to underlying blood vessels. Vitamin A is also an active ingredient, which combined with biomimetic proteins encourages natural collagen production and skin elasticity. And the exclusive blend of bioengineered plant stem cells give the skin antioxidants and manage inflammation to protect your skin from any further signs of ageing. Finally, it’s packed with caffeine, enzymatic vasodilators and coenzyme A. These work to reduce the signs of puffiness and the appearance of dark circles. 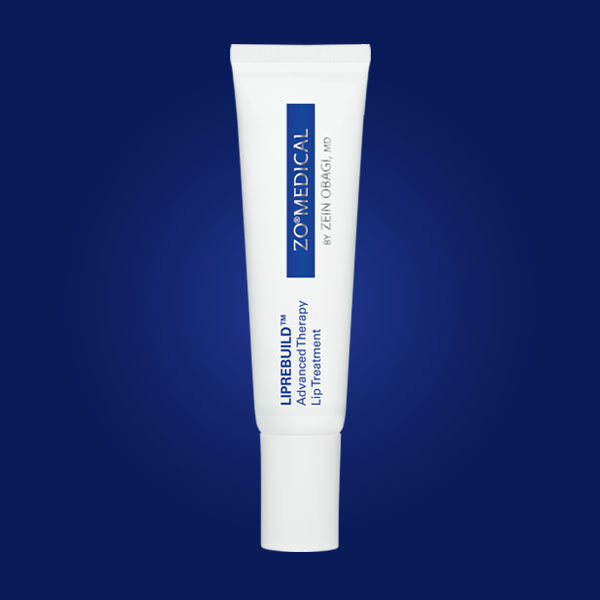 The powerful combination of ingredients in Hydrafirm work together to rapidly improve the skin around your eyes. Use only a pea size amount for the entire under eye area in the morning and evening – and blend in gently with fingertips. This product absorbs quickly and can be used year round. To help avoid further damage to the eyes, be gentle with your eyes. Never pull, tug or rub the skin as it is so delicate. And of course always wear sun protection!